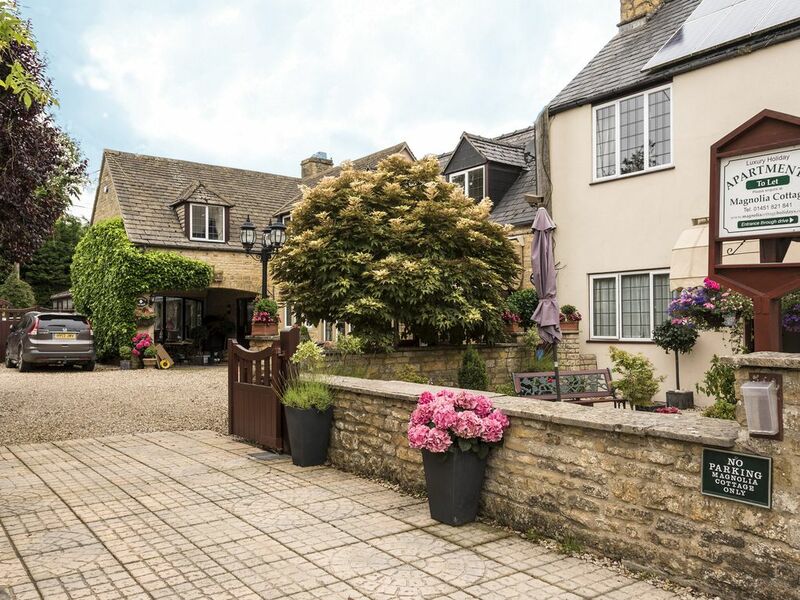 Magnolia Cottage is located within the center of the beautiful village of Bourton, just 2 minutes easy walk from the river, shops & restaurants. Magnolia Apartments are all located on the property of Magnolia Cottage they are First floor Apartments carefully converted to give a comfortable traditional atmosphere with modern equipment and materials. We offer every home comfort including plants & flowers.A small welcome pack awaits your arrival. Patio or Balcony sitting area. Private off Road Parking. Wireless Internet connection available. NOT suitable for pets or children under 10years old. No Smoking inside Apartments. Nearest golf club Naunton downs approx 4 miles away. Boutique apartments, sleeps 3. 1 double 1 single bedroom bathroom kitchen lounge/diner. Light and airy with modern furnishing set in a traditional atmosphere. Balcony sitting area with table & chairs. Apartment s beech & chestnut are accessible from a wide outside stair case to the balcony. NB The double Bedroom can be changed from 2 twin to 1 large Double Bed. Outside wide staircase to Balcony sittting area & Entrance. Not suitable for children under 10 years. WI FI RECOMMENDED FOR CASUAL USE ONLY. PARKING INCLUDED FOR 1 CAR, Laundry Facilities ( washing machine & Dryer ) are in a laundry room on ground floor for your use. Motor museum, perfumery, bird land, model railway, leisure centre & indoor pool. Various gift shops.